A day after United States (US) National Security Adviser Gen H.R. 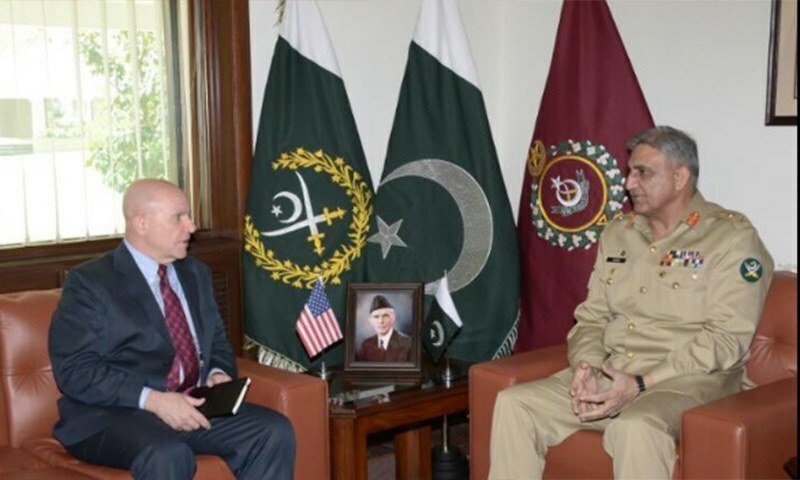 McMaster urged Pakistan to indiscriminately fight all terror groups, the army's media wing issued a statement on a meeting between the US NSA and Army Chief Gen Qamar Javed Bajwa. During meetings in Afghanistan on Sunday, McMaster had hinted at the US taking a tougher line on Islamabad. In an interview with Afghan news agency Tolo, McMaster had said: "As all of us have hoped for many many years, we have hoped that Pakistani leaders will understand that it is in their interest to go after these [militant] groups less selectively than they have in the past and the best way to pursue their interest in Afghanistan and elsewhere is through diplomacy not through the use of proxies that engage in violence." Director General (DG) Inter-Services Public Relations (ISPR) Maj Gen Asif Ghafoor on Tuesday tweeted a video of the meeting saying, "Pakistan itself is a victim of state-sponsored terrorism. It strongly rejects allegations of employing proxies from its soil." 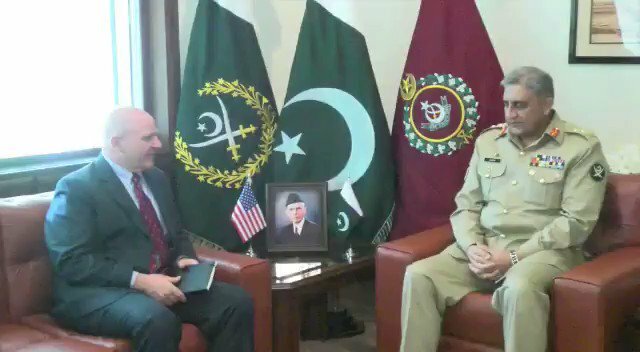 US NSA meets COAS. "Pak itself is victim of state sponsored terrorism, it strongly rejects allegations of employing proxies from its soil". The DG ISPR said that during the meeting between Gen Bajwa and NSA McMaster, "It was highlighted that distinguished feature of Pakistan's counter-terrorism effort is focused against terrorists of all hues and colours." US NSA ack Pak Army's efforts in eliminating Ts and their infrastructure, assuring US sp to bring peace & stability in the region and globe. Maj Gen Ghafoor added that the US NSA had acknowledged the Pakistan Army's efforts towards elimination of terrorists and their infrastructure and had assured "US support to bring peace and stability in the region and globe." A day earlier, McMaster held talks with top civilian and military officials, during which he was apprised of Pakistan's efforts and initiatives resulting in a marked improvement in the overall security situation.